February 24, 2016 – It’s getting noisier and noisier out there and now the cacophony of broadcast and other communications signals has begun to seriously interfere with important Earth science research. 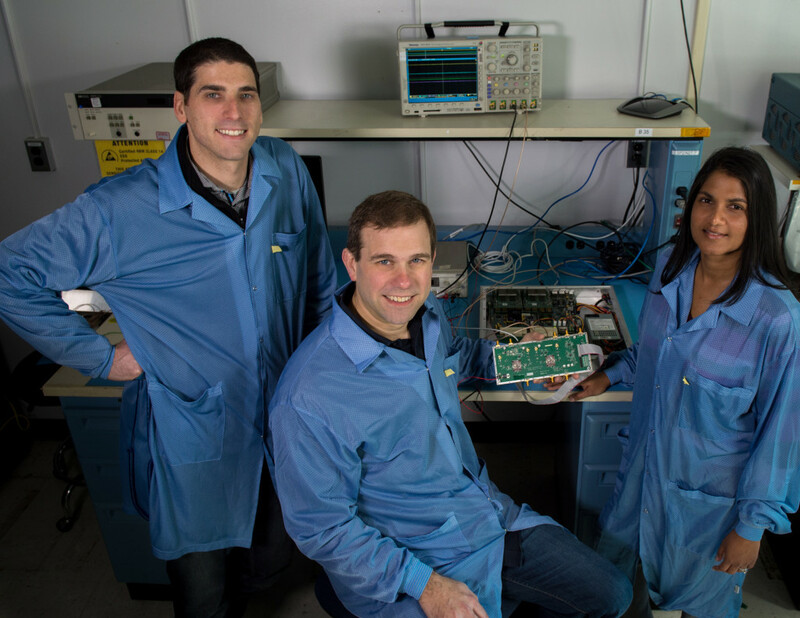 A NASA team at the Goddard Space Flight Center in Greenbelt, Maryland, is collaborating with Ohio State University and NASA’s Jet Propulsion Laboratory in Pasadena, California, to build and launch a new CubeSat mission that will test next-generation techniques for detecting and discarding radio-frequency interference (RFI). RFI is caused by satellite TV, automatic door openers, and other communications technology that operate at microwave frequencies. Funded by NASA’s In-Space Validation of Earth Science Technologies program, the CubeSat Radiometer Radio Frequency Interference Technology Validation (CubeRRT) specifically will evaluate a specialized digital-based spectrometer equipped with sophisticated algorithms that can detect and mitigate the radio interference that spills over and ends up as noise in scientific data. Goddard is charged with developing the instrument’s front-end microwave electronics and overseeing the instrument’s integration onto the spacecraft. JPL, meanwhile, is building the instrument’s backend digital electronics. The Wallops Flight Facility on Virginia’s Eastern Shore is handling ground-system design and operations, while Ohio State’s Joel Johnson is leading this effort. In addition, Ohio State is implementing the dual-helical antenna and procuring the spacecraft bus from the Boulder, Colorado-based Blue Canyon Technologies. This manmade “noise” has proven especially troublesome for space-based radiometers, which use a portion of the microwave spectrum to passively gather data about moisture, atmospheric water vapor, sea surface temperatures, and surface winds, among other climate-related conditions. Although specific frequency bands have been set aside for Earth observation and radio astronomy, the spectrum for commercial use is becoming increasingly crowded, overrunning the science-reserved bands and accelerating demands that more spectrum be set aside for commercial uses. “As these sources expand over larger areas and occupy additional spectrum, it will be increasingly difficult to perform radiometry without an RFI-mitigation capability,” said Jeffrey Piepmeier, a Goddard engineer and CubeRRT team member. Expected to launch in 2018, the 6U CubeSat that’s roughly the size of a cereal box will pick up where other RFI-mitigation technology-development efforts have left off, Piepmeier added. NASA’s Soil Moisture Active Passive (SMAP) mission, for example, carries a state-of-the-art “smart” microwave radiometer equipped with one of the most sophisticated signal-processing systems ever developed by Goddard. SMAP, however, is tuned to a particular frequency band —1.4 GHz or “L-Band” — the wavelength ideal for detecting soil moisture. With CubeRRT, however, the team plans to test techniques designed to mitigate RFI at higher frequencies — particularly in the 6 to 40 GHz range. These frequencies are ideal for passively gathering data about other conditions important to climate research.